Cooker hoods are exhaust fans for your kitchen, which are designed to remove excess smoke, steam, grease and fumes while you cook. 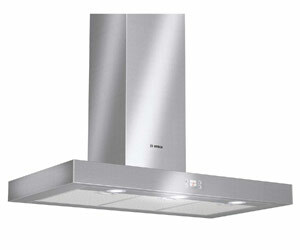 A good cooker hood will keep your kitchen – and the rest of the house – clean and smelling fresh. Measure the area you have to work with above your stove or hob. The cooker hood should cover the entire cooking area. They generally come in either 600mm or 900mm sizes. Which Cooker Hood For Me? Slide-out: Often referred to as retractable cooker hoods, slide-outs extend out over the entire cooking area when needed. They can retract when not in use, saving space. Canopy: Once only seen in commercial kitchens, canopy cooker hoods are more popular than ever in Singapore homes. They look great and can be mounted on the wall or above a kitchen island. Powerpack: Built into the cabinetry and can be hidden behind doors allowing more storage. The layout of your home can have an effect on how your cooker hood vents the smoke and fumes from your kitchen. Make sure that you check which type of venting option best suits your home. Ducted: Vents smoke and fumes to the outside of the home through ducted piping. They are harder to install, but they are the most effective means of removing cooking vapours completely. Keep the ducting as straight and short as possible, and never duct into the attic or another room. Re-circulating: Passes dirty air through a filter (usually made from carbon) before returning it back into the kitchen. Grease and oil particles are removed by a metal filter, which needs to be cleaned (or possibly replaced) regularly. Cooker hood power – the air extraction rate – is measured in m³/hr. Cooker hoods with air extraction rates over 600m³/hr are in the more powerful range. As a rule of thumb, canopy cooker hoods are the most powerful, while slide-out (retractable) cooker hoods are the least powerful. There are two ways of rating suction power, Gross Suction and Nett Suction, make sure you compare cooker hood on the same rating system. Are There Different Types Of Fans? Rotary fans are traditional blade fans. Centrifugal fans are barrel-shaped. Centrifugal fans move more air, are quieter and perform best in ducted systems. Whichever you choose, it's important to have variable fan speed. The level of noise made by a cooker hood is measured in Sones. Ask for a demonstration to get an idea of how noisy each cooker hood is. If you choose a re-circulating cooker hood option, the filters you use will have a big impact on reducing odours. Some charcoal filters are specially designed to reduce offensive smells. There are a number of finishes, including glass and stainless steel. Make sure that the exterior surface is smooth and doesn't have any crevices for easy cleaning. 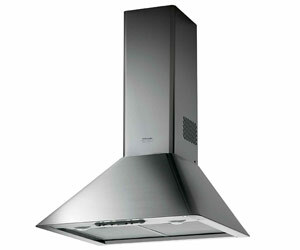 If you're after a sleek industrial look, then you should consider a canopy cooker hood. Ensure that there are enough lights on your cooker hood. The more light you have, the easier it is to judge the timing of your cooking. Check that the controls are easy to reach and understand. Re-circulating cooker hood can be relatively easy to install for someone with DIY skills, provided there is a power point nearby. If not, you'll need an electrician. Ducted systems require knocking holes in the wall for the piping, so it's best to get a professional to install it. Keep your apartment smelling fresh, even if there's limited space for a cooker hood. Size: Measure the space available. Retractable cooker hood are best for restricted spaces. Venting: More than likely limited to re-circulating. Filters: Replace the filter regularly to keep your apartment odour-free. Ensure that the surrounding cupboards and appliances aren't damaged by excess heat. Size: Measure the space to make sure the cooker hood will cover the hob completely. Venting: Duct to the outside of the house for more efficient odour control. Lighting: Choose a model with multiple lights to illuminate your cooking. Set off your kitchen's style by making the cooker hood a centerpiece. Type: Canopy type will bring an industrial style to your kitchen. Power: Look for air extraction rates of over 600m³/hr. Style: Make sure that the exterior surface is easy to clean and maintain. 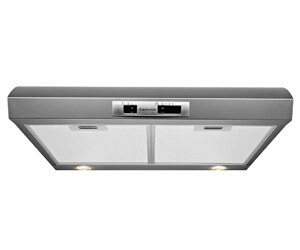 Space: Retractable cooker hoods suit restricted spaces and canopy cooker hoods suit larger spaces. Venting: Ducted cooker hoods vent outside the home, while re-circulating ones filter the air and vent back into the kitchen. Suction: Look for multi-speed fans. Air extraction rates over 600m³/hr are in the more powerful range.